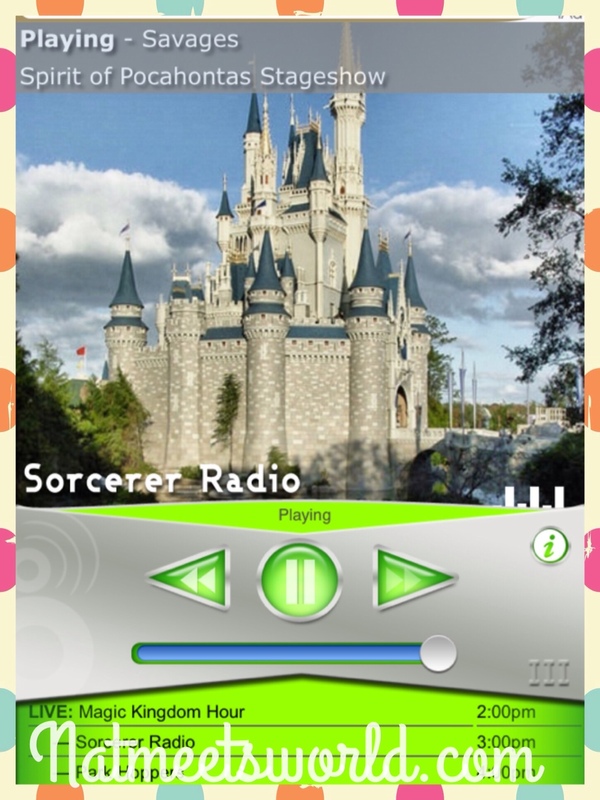 Sorcerer Radio App Is A Must For Disney Music Lovers! As my significant other sits here yelling at the AFC playoff game on T.V, I decided to write to you about one of my favorite iPhone apps. Besides, I can only take football in small doses. 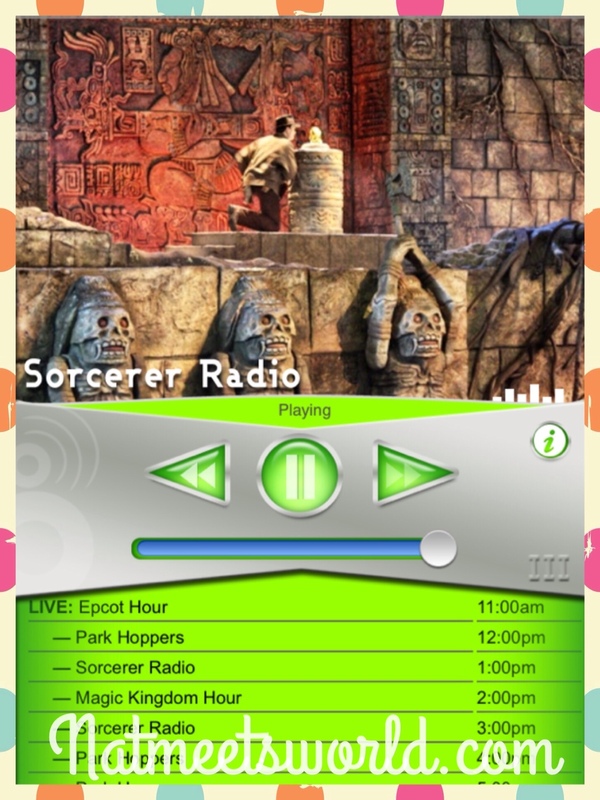 Sorcerer radio is a must for all Disney fans. Move over Pandora Disney channels! This free app includes more Disney music than ever. 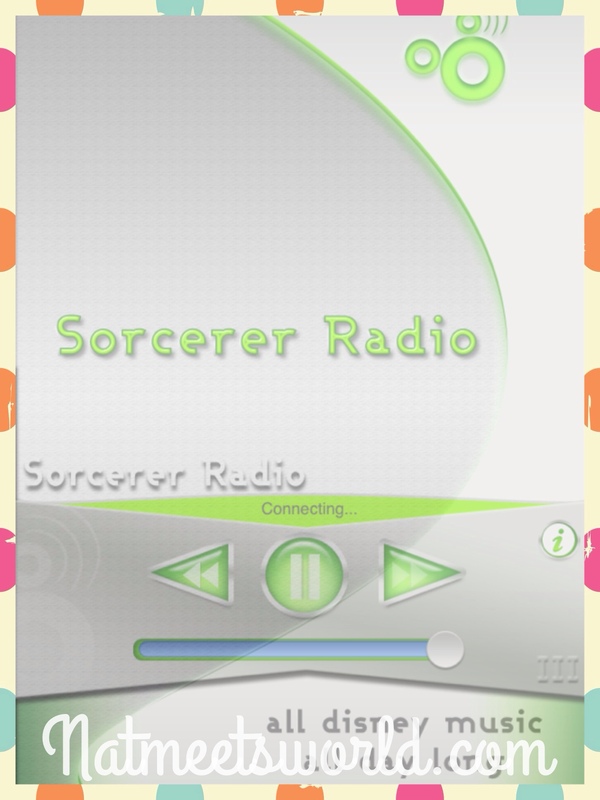 What I really like about the sorcerer radio app is that music is randomly played and there are limited commercials (literally…like 4 commercials in an hour, tops!). Another cool feature is that every hour is a different theme. For example, 1:00 PM may be Magic Kingdom hour where you will hear a variety of songs from the Magic Kingdom park. What songs you may ask? Well…..that’s the cool part! From the rides, to the parades and shows, from the walkways of each land, and even the bathrooms. There is music from literally every spot in the park. The same goes for each hour of Hollywood Studios, Animal Kingdom, and the Epcot on Sorcerer radio. The picture above shows what the screen looks like while music is playing. At the top, the name of the song and the location of where it is played is displayed. Below it, a picture of the area it comes from. Underneath that, you can control the volume and play/stop button, and underneath that is a list of what each hour from that point on will include. In the above picture, you can see that the ‘Savages’ song from the Pocahontas show is playing during the Magic Kingdom hour. Music from the Mouse Gear store plays during the Epcot music hour. Music from the Indiana Jones show plays during the Hollywood Studios hour. Park Hopper (this is where they randomly play songs from each of the four parks). Bedtime Disney (My favorite! This is played at night and includes music from the nightly shows like Fantasmic! and Wishes!). Water Parks (Music from both Typhoon Lagoon and Blizzard Beach). 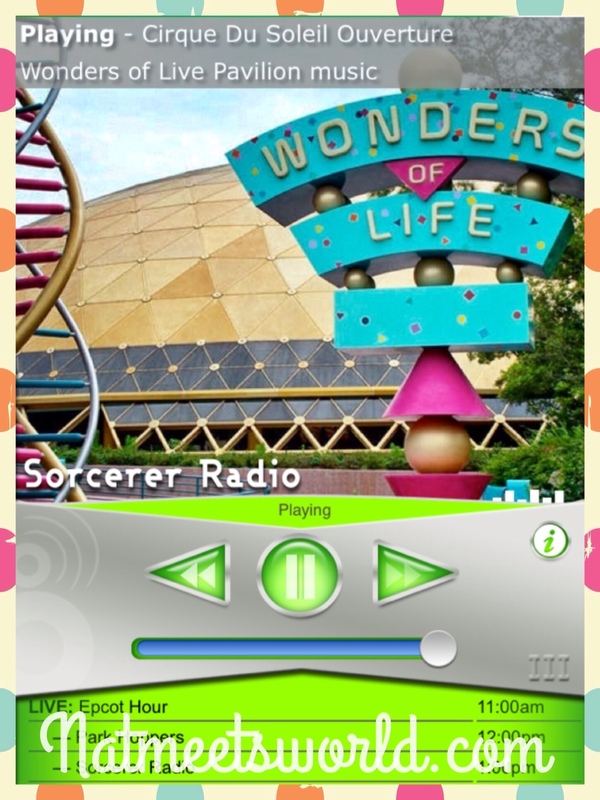 Sorcerer Radio (shuffled music from the entire Walt Disney World resort). There are also some live pod-casts and interviews during special events. Some really cool songs/music that I have heard from this app include music from the pools of various resorts, the monorail, restaurants, and even music from rides and shows that don’t even exist anymore! Remember the land pavilion boat tour with the singing fruits and veggies? Yep, that’s on this app too! Remember this? Music from the Wonders of Life pavilion in Epcot during the Park Hopper Hour. 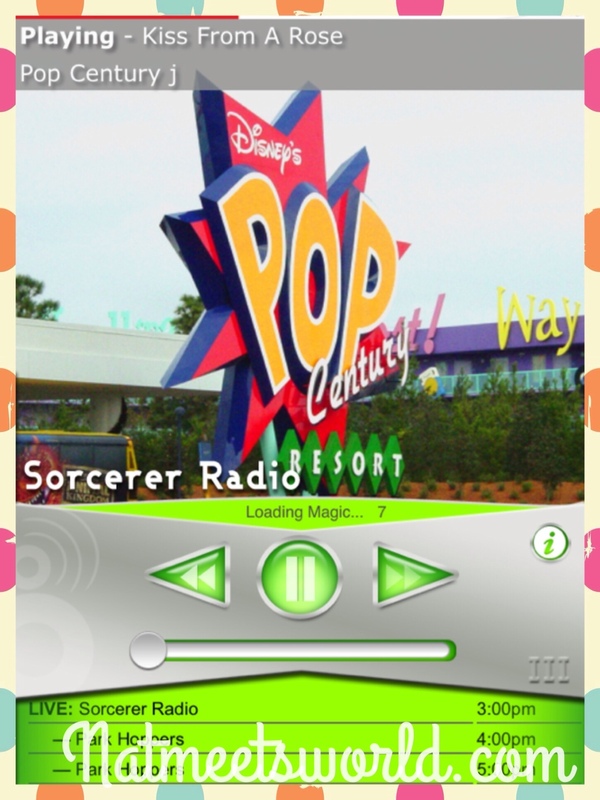 Music from the Pop Century hotel durnig the Sorcerer Radio hour. 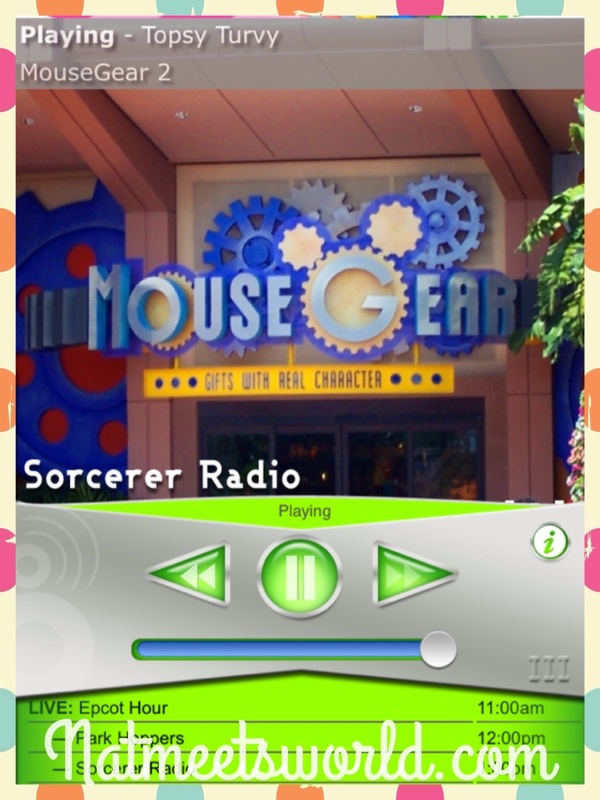 So the next time you turn on music for your Disney side to enjoy, remember to use Sorcerer Radio! Disclosure: These pictures are not owned by me. All opinions and experiences are my own.